South Sudan gained independence in 2011. With less than half the population able to access health facilities and a shortage of skilled birth attendants, the maternal death rate is high. 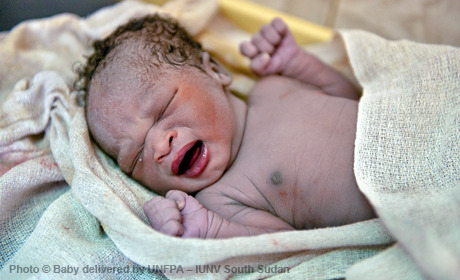 Active since 2006, UNFPA began full-fledged operations in 2012. Current programmes help build the health system and develop capacities for providing reproductive health care, including through training midwives. Other measures seek to prevent gender-based violence, and develop systems to produce and use demographic data for development.